This is a glorious pendant. In the centre is a square emerald set in 4 18ct yellow gold claws within a square platinum diamond set frame below a platinum diamond set "D" shaped top with a platinum bar loop that is set with 2 columns of diamonds. 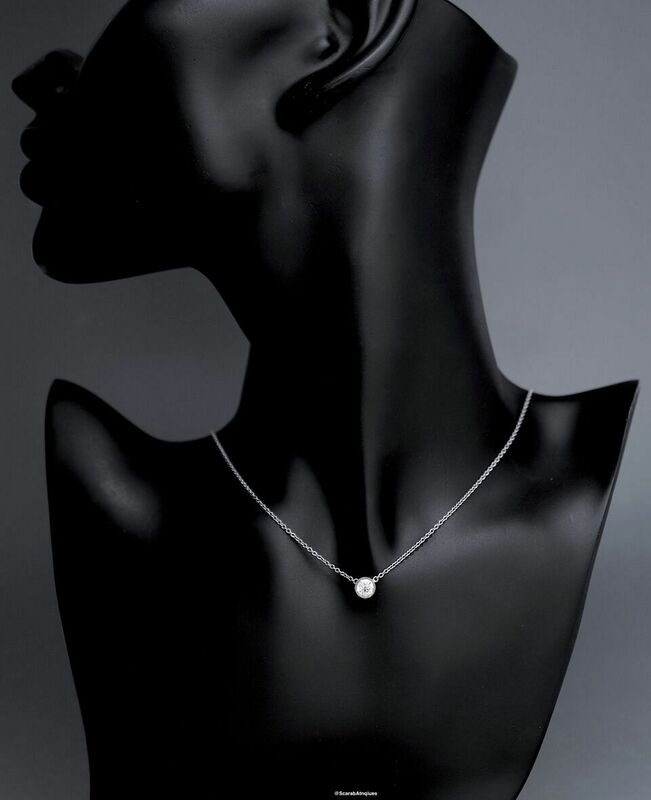 The pendant hangs on a platinum chain. It has been hallmarked by the London Assay Office for platinum & 18ct gold, 2017 and bears the sponsor's mark "A&SP" for Alan & Sue Poultney. 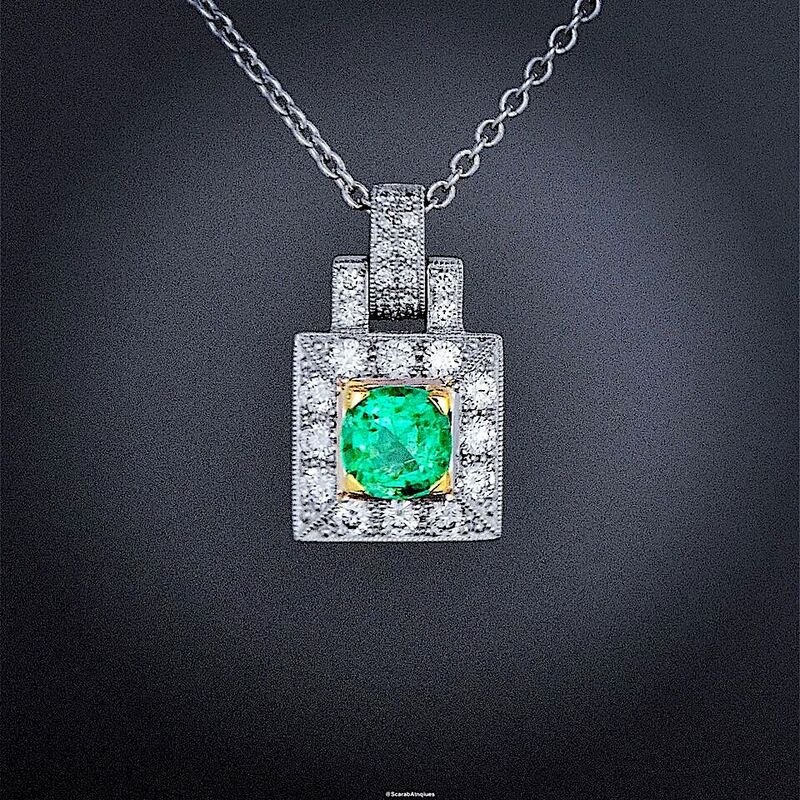 Alan cut the emerald from the rough and the pendant has been handmade to his design.